Oregano has been grown and cultivated for many years. It has a great taste and an appealing smell, making it a favourite in the kitchen. This herb is native to northern Europe and offers many medicinal benefits that people remain largely unaware of. Oregano contains many volatile oils like thymol and carvacrol. These oils have been known to slow the growth of bacteria significantly, making oregano a powerful anti-bacterial agent. Its also helps greatly with gastrointestinal and stomach problems. 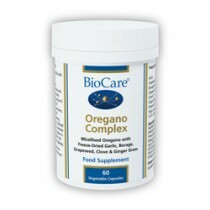 Oregano also contains some antioxidant vitamins that fight free radicals and prevent cell manipulation and disease. Antioxidants may contribute to the prevention of cancer. Oregano oil is said to stop common infections like the flu while strengthening the immune system. Sometimes it is administered to someone with a fever because it promotes the production of sweat. It helps the body to sweat out toxins. This aromatic ingredient not only tastes great, it can be taken as a supplement to boost your overall health.